So this week was the Feast of the Sacred Heart, from which the order of sisters we work with take their name. Its been several days of busyness and excitement (with more still to come). Thursday night the sisters had a party for the parish, which was mostly attended by the youth. 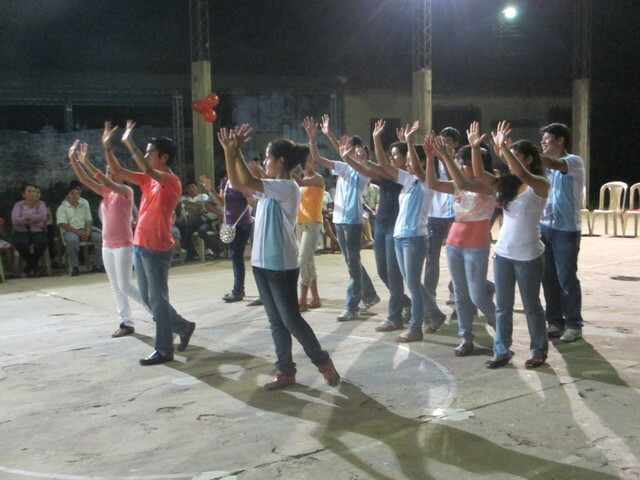 All the different youth groups did a performance. Here’s on of the larger groups. 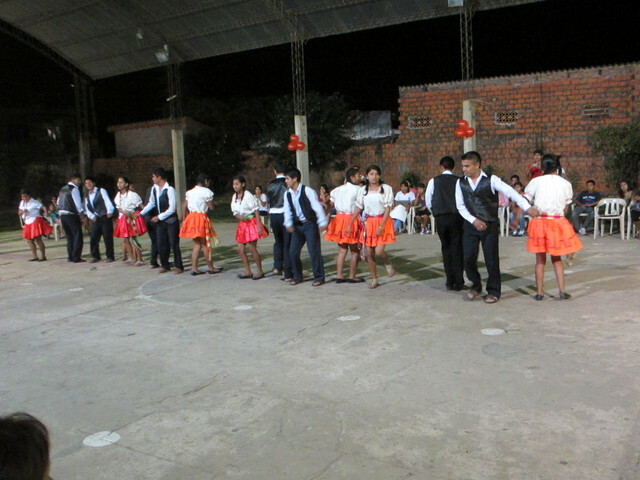 One group did a more traditional dance. 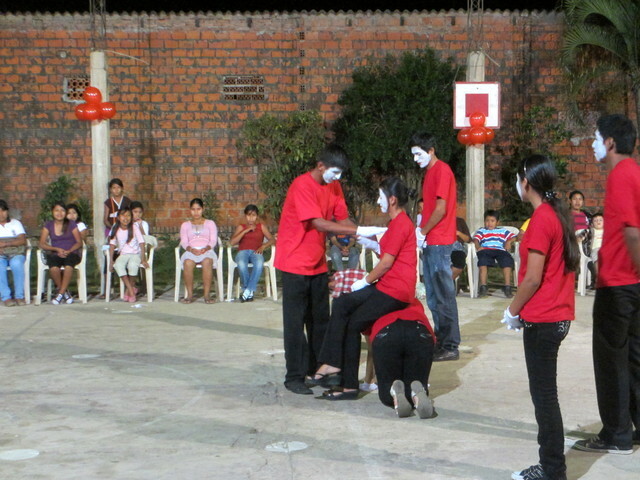 The group Laura works with did a play as mimes. 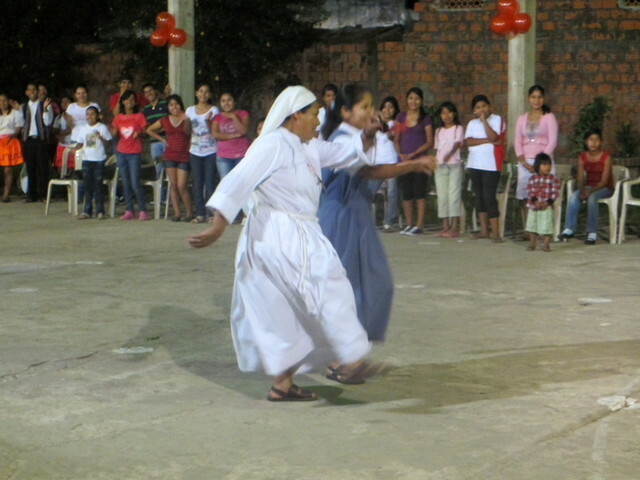 Even the Sisters got into it. However, you may notice that the title of this post isn’t about the feast or the party…I took a bit of video of Laura dancing, and wasn’t going to post it all (at least together) but as you’ll see it came to that. 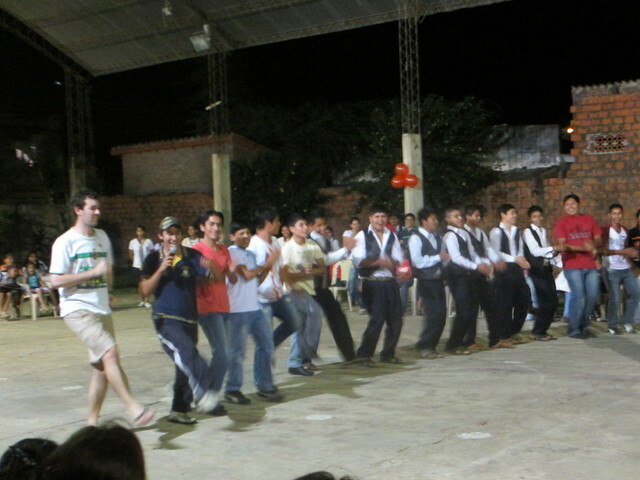 Just to show that I’m not that bad of a guy, I’ve also got a picture of me (the ridiculously tall one…those are mostly fully-grown Bolivians) trying to dance. Thanks! Looked like fun for everyone. It looks like everyone is having a good time! Thanks for the updates! Looks like it was so much fun! Great dancing by the way! Why payback? You both look great. I expected to laugh, but I am actually think Laura was pretty darn good. Thanks for all the positive comments everybody! We know you’re working hard, so it’s great to see you both having so much fun and being a part of your community (no matter how tall you are)! God bless you.